More than 100 hilarious and ridiculous things that you should never, ever do in real life. We all know that we should never fight a tiger or become a mafia boss, but that doesn’t mean it isn’t funny and fascinating to learn about. 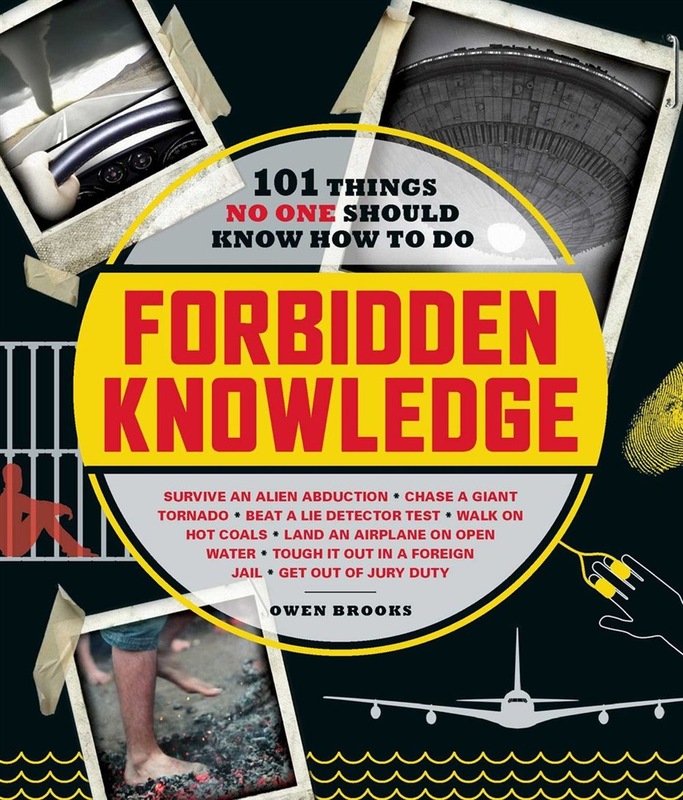 Forbidden Knowledge offers a collection of the most ridiculous things that you should never attempt in real life—but will make you laugh none the less. You’ll learn everything from how to take over a cult to swimming with piranhas to how to build an atomic bomb or escape from prison. Forbidden Knowledge invites you to embrace the absurd with pranks that are sure to make you laugh. With over 100 extremely bad ideas that you should never do, this entertaining and light-hearted book makes each hilarious scenario so much fun to imagine. Acquista Forbidden Knowledge in Epub: dopo aver letto l’ebook Forbidden Knowledge di Adams Media ti invitiamo a lasciarci una Recensione qui sotto: sarà utile agli utenti che non abbiano ancora letto questo libro e che vogliano avere delle opinioni altrui. L’opinione su di un libro è molto soggettiva e per questo leggere eventuali recensioni negative non ci dovrà frenare dall’acquisto, anzi dovrà spingerci ad acquistare il libro in fretta per poter dire la nostra ed eventualmente smentire quanto commentato da altri, contribuendo ad arricchire più possibile i commenti e dare sempre più spunti di confronto al pubblico online.